Deployment of IPv6 is still in its infancy, but Comcast has started pushing the protocol out in a limited fashion to subscribers in select markets. That makes Comcast the first national ISP to deploy IPv6 and it is likely that others will follow suit in the near future. IPv6 is the successor to IPv4, which aims to solve the long held apprehension that planet Earth will run out of available IP address space. Thanks to local network address translation (NAT) though, fears have been continually postponed. Because NAT allows homes and businesses to share a single Internet address amongst many devices, the number of unique IP addresses required for the world's population to access the web is far less than it would be otherwise. The newer protocol bumps up IPv4's limit of 4.2 billion unique address to 340 trillion trillion trillion, which ought to satiate the global hunger to be online for some time. Comcast claims their IPv6 rollout will first appear exclusively on computers connected directly to their cable modems or gateways. Routers will not receive IPv6 addresses themselves, although I do wonder if users change the MAC hardware address on their router, if they will receive an updated IPv6 number -- router permitting, of course. 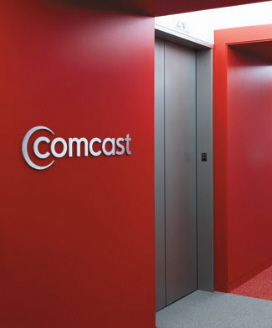 The deployment is intentionally limited this way for incremental testing, at least until Comcast has the confidence to transition into its planned 2012 national rollout. The company is deploying what is called a "native dual stack". This will allow Comcast to support both IPv6 and IPv4 across their network without the overhead of tunneling or the performance hit of using network address translation. This method should also improve network compatibility with various services and devices over competing tunneling and NATing solutions. Comcast has also decided to stick with a prefix allocation that is /64 in length instead of /128 to maintain maximum compatibility. The draw back, of course, is that /64 limits the total number of addressable IPs to a mere 16 quintrillion. Comcast has provided a list of supported, IPv6 compatible cable Internet hardware here.